Anyways, supposedly, I will ask my friend to at least fetch me in the airport so that I won't get lost on my arrival. However, I am given an instruction of how to get their place instead. Alright, that is part of the adventure then...constantly, I need to catch a free wifi at the airport so that I can message my friend: if I have arrived safely and if I have gotten into the bus at the scheduled time where I am going so that my time of arrival to the bus stop will be estimated. There you go... I am asked to ride on bus 6004 going to Gasan Digital Complex. 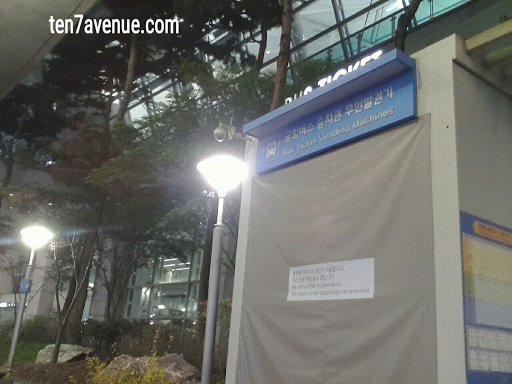 So I need to check where the bus ticket stall outside the arrival hall and buy for the bus ticket to Gasan Digital. Finding the bus ticket stall isn't difficult after all, there are two counters one that speaks in English and the other one in Korean. Good job! I am then asked to pay KRW 10,000 for the ticket, ugh, that's is a bit pricey, but I have to abide to the instructions. LOL (Another option could have been riding a train...but since the subway system in Seoul is a bit complex at first, my friend worries that I might get lost along the transit, but it is actually more cheap!) Following the instructions given to me, isn't bad at all. I arrived safely even though the driver and I can't communicate that well - reading street signs and names really works! 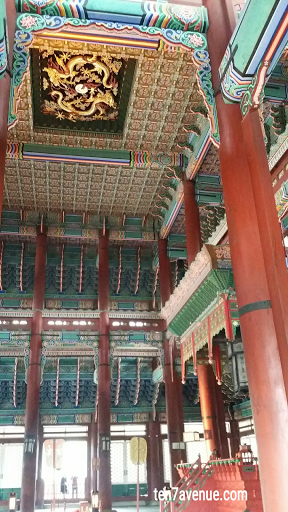 First stop, the Gyeongbokgung Palace! 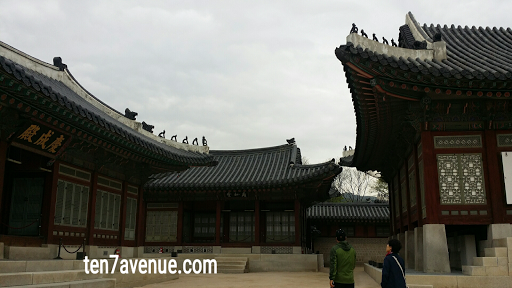 It is the biggest among the five (5) palaces preserved in Seoul. The palace gate is very wide...good thing when we arrived at the vicinity, there is this ceremonial exchange shifts of the guards. It is drawing attraction among visitors like me and even my Korean friends saw it for the first time, too. Watch the video below as part of the ceremony. 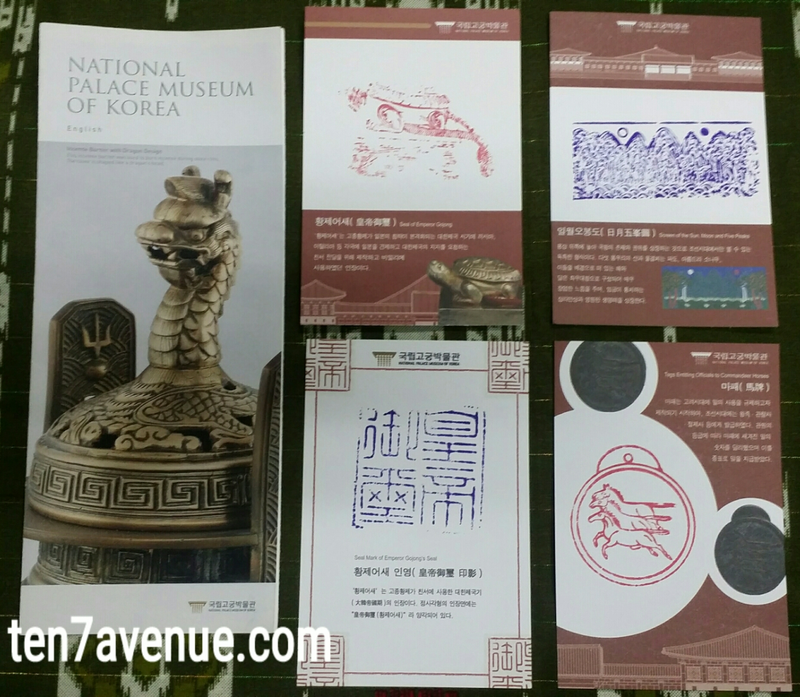 Before entering the palace gate, you will be asked to pay an entrance fee of around KRW 3,000. 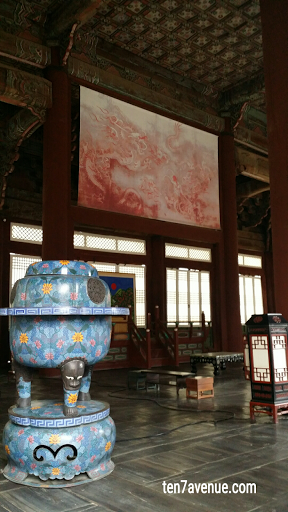 In the vicinity, you will witness some couples in hanbuk or the traditional Korean attire. If they wear it, they will free of charge for the entrance fee. That is cool! Some of them become an instant attraction because of their attire and additional to promote tourism in the place. This place is also a place wherein tourists do some photo shoot. From this view, at the right side of the gate is a stall wherein tourists can wear a royal guard attire for less than an hour. Thus, here I chose the general of the gate guard attire. Tick that on my list of things to do!!! The vicinity is also near the National Palace Museum wherein we took time to explore too. I enjoyed this place as it showcases a palace's artifacts, their early sciences and other palace essentials. I am glad to have this chance to understand a part of Korea and their culture related to other Asian race. Then, we entered the palace. We chose the English language for the Gyeongbokgung Palace Tour for my benefit which is scheduled three (3) times a day: 11:00 H, 13:30 H and 15:30 H. Our tour guide is Ms. Lee. She is also wearing a hanbuk during the tour and she speaks English very well. She also explains well during the tour. The vicinity of the palace is comprised of several building and each building is identified according to its design and small details at the roof. Cool, isn't it? There are allot of symbols visible in every buidling such as the golden dragon, five (5) mountains and two (2) moons, the dragons forming like the yin and yang and other things that you will discover in every building. The country experiences four (4) seasons and there are questions of how do each building and people inside survive the freezing cold winter season... Well, it is explained that there are portions of the building that is like a chimney but the heat is circulated in the building and it is absorbed by the layers of the floor of very building. That is something very scientific and an adaptive way to survive changes of season. This is the end portion of the tour wherein we are brought to the palace banquet area for special occasions. Since it is a royal gathering, guests and members of the royal family will have to abide on rules on the do's and don'ts. You will experience serenity in this area as it is also wide, surrounded by a lake with carps, and garden around. We also explored other parts of the palace not passed by the tour. Have some photo opportunities and well, it is tiring and making us starving...so, the next stop is for a restaurant to eat authentic Korean dishes!!! As an appetizer, we have kim chi and ssam bap - the spicy fermented cabbage and lettuce as wrap for rice or bulgogi. Aside from that, we have the cold noodles (usually eaten during summer), bulgogi, bibimbap and have our tummies filled! Oh wow! That is really a sumptuous Korean treat! Indeed a treat because I attempted to cash out but I am refused to share...they are also happy that I enjoyed the food and the tour. Thank you!!! During this day, several activities have been checked out in my list of things to do! Yehey!!! More to come in the coming posts! I hope you enjoyed this visit in my avenue, www.ten7avenue.com!